…That which we call a rose. By any other name would smell as sweet…Just kidding, this blog post has nothing to do with Shakespeare and everything to do with a recurring question that we deal with down here at 805 Court Street. Why is it called the Boilermaker? It is amusing to hear all the popular legends that have sprung up to explain the name. A common one we hear is that the name is due to the oppressive July heat that often accompanies race day. Others assume it is a tangential reference to Purdue University. Actually the Boilermaker’s Run, as it was called in the beginning, was named by race founder Earle Reed as a nod to the businesses that marked (and continue to mark) the start and finish lines. Of course the start line has always been outside of ECR International, known in 1978 as Utica Radiator Corp, the Reed’s family business. The site was actually more known for manufacturing cast iron radiators and baseboard than boilers but Earle believed in not letting facts get in the way of good marketing. Meanwhile across town, the F.X. Matt Brewery has always served as the race finish line and host of distance running’s best post-race party. 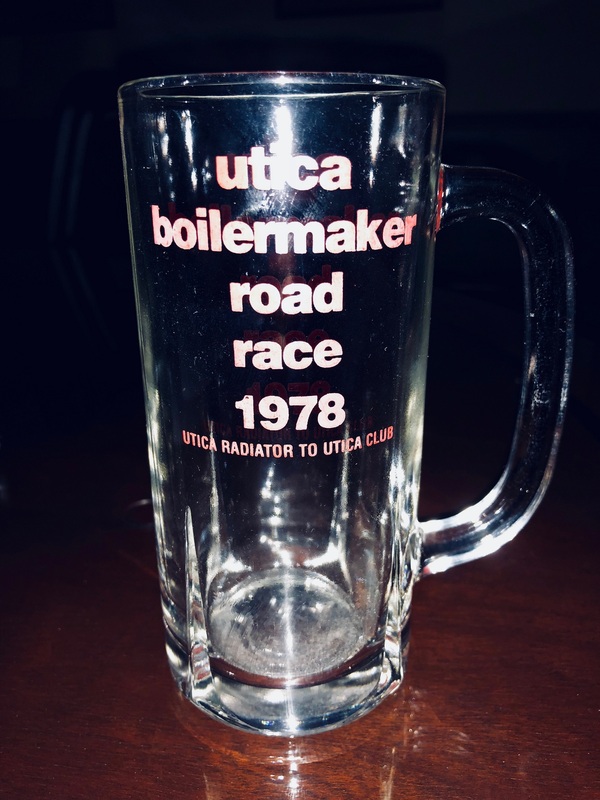 The race’s identity is summed up in one of its early catchphrases, “Utica Radiator to Utica Club”. Moreover, some of our more mischievous readers may know that a boilermaker is pub jargon for a shot of whiskey accompanied by a beer. So there you have it. Start at a heating and cooling product manufacturer and end at a beloved family brewery and you have a Boilermaker Road Race. So concludes today’s history lesson. Studies have been conducted on the economic impact the Boilermaker has on Utica and the entire region and it is significant. However, the race creates another kind of impact more difficult to quantify but equally important. Psychic Impact refers to the emotional effects that prestigious events and sports teams have on their host communities. It is a term that has emerged recently from the field of sports economics, primarily to justify large public investments into private arenas and stadiums. I have no interest in exploring the ethics of that topic but the concept of psychic impact does raise interesting questions relevant to the role that the Boilermaker can play in Utica’s future. Can the Boilermaker (or Comets games, or concerts at the Stanley…) remedy the city’s economic troubles? Certainly not but they do make us feel better about our city and that absolutely has the ability to translate into measurable progress. It’s simple – when you take pride in something you take care of it and you invest in it. When Utica’s younger generations feel civic pride about their home, they are more likely to stay, raise families and start businesses here. Our race generates an enormous amount of Utica pride, as it should. After all, the Boilermaker has no inherent characteristics other than a hilly 9.3 mile stretch of asphalt. The accolades that are so often laid on the race have EVERYTHING to do with the people that live here, without whom the Boilermaker would be just another race. It is the overwhelming community pride that thrusts our race into the elite tier of “must-do” road races in the USA. The Boilermaker drastically improves the way we think and feel, not only about our city and neighbors but our guests as well. During Boilermaker weekend, we welcome thousands of visitors from across the country, putting our city on a national stage. Everywhere you look, Boilermaker flags fly and landscaping is immaculate. 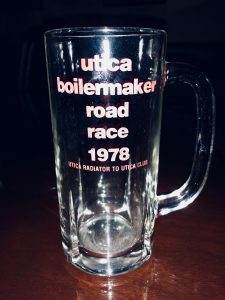 So if Boilermaker 40 can leave any lasting legacy on Utica, let it be this: That “Boilermaker Spirit” that was so ubiquitous and infectious all week long actually has nothing to do with the race. The race just reveals a “Utica Spirit” that lives in all of us who call the Mohawk Valley home. All we need to do is capture it and live it the other 364 days of the year. Well here we are, less than two weeks away from Boilermaker 40. After four decades, we have the race part down. What remains a challenge is creating a unique experience each and every year. As the race has evolved into a week-long extravaganza, we have many more opportunities to engage our runners. For the big 4-0, we feel that we have created a race with the same Boilermaker charm you’ve come to love with enough surprises to make for a wholly new experience. To share some of these with you, what follows is my feeble attempt at a Dave Letterman-esque top 10. First, download the new (free) Boilermaker mobile app ASAP to stay updated on all Boilermaker events. It also has other great features like Boilermaker selfies, merchandise discounts and much more. This is your handheld guide through Boilermaker week. Big thanks to our app sponsor, Covey Computer Software for this one. Look out for the Chobani Homestretch on Court Street, giving you that extra push over the finish line. More food trucks, more vendors, more FREE samples! The Unity Mile along mile 2 of the 15k course. This stretch of the race will be packed with individuals and organizations that represent all the reasons why Utica is such a great place including organizations like the Ride for Missing Children and Upstate Cerebral Palsy to name just a few. More wheelchairs athletes than ever before. We’ll have over 40 wheelchair athletes this year and the prize money for the division has doubled so you can expect a more intense wheelchair race than ever before. American prize money has been doubled so you can expect to see some of the best American distance runners in the country competing for the top spot. The race hasn’t had an American winner since Ed Eyestone in 1991. Post-race entertainment is being turned up to 11 with a Showtime/Gridley Paige/Classified “supergroup” sharing the stage with disco diva Maxine Nightingale. You might know Maxine from her hit song, “Right Back Where We Started From” featured prominently in the movie Slapshot. Beer and sweaty bodies not your thing but still want to enjoy the post-race party? Check out the Cliff’s Local Market Family Zone on the corner of Edward and Wasmer. No beer allowed here and there will be snacks, refreshments and family-friendly activities. Looking for something to do Friday night? Visit the Utica Blue Sox booth at the expo and get a FREE ticket to Friday night’s game against the Oneonta Outlaws. Have you heard about the Boilermaker Urban Initiative? If not, you will. The Boilermaker is reaching out into the community in a way it never has before in order to be a year-round change agent for health and wellness. Our website has more information on the initiative and its programs. If you’ve been following this blog during recent months, it should be obvious that the Boilermaker is undergoing a change. Let’s call it an expansion of focus. We are no longer content with being confined to the month of July but instead have ambitions to be a year-round change agent. Blossoming outreach initiatives like the Boilermaker Urban Garden and the West Utica Public Market have certainly been tremendous steps towards this goal. 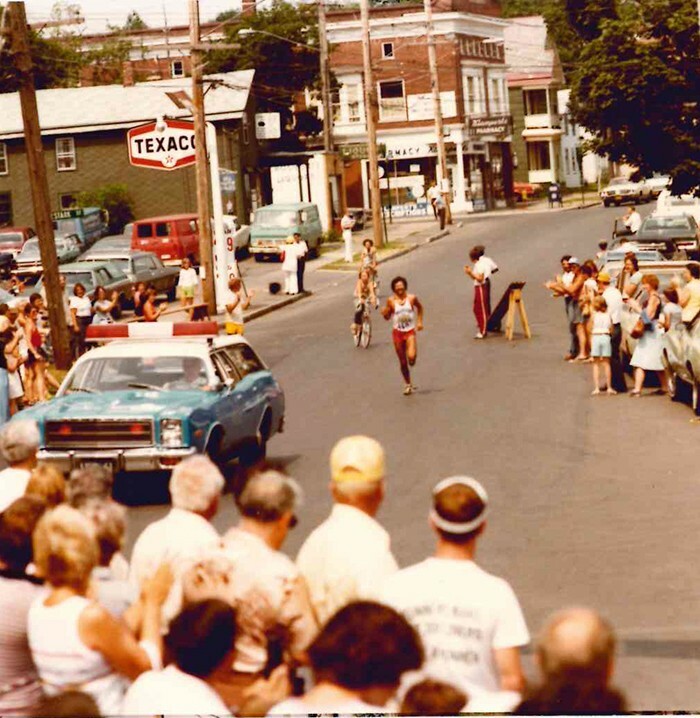 However, did you know that the Boilermaker actually conducts another road race, a half-marathon at that? The Erie Canal Half, taking place on May 21st, includes a 2-person relay, 5k, and even a kid’s run. The Boilermaker is a lot of things, but above all it is a celebration of the indomitable Utica spirit. The course itself winds its way from east to west, painting a stunning portrait of our eclectic neighborhoods. Unfortunately, it entirely bypasses the city’s oldest and most exciting district: Bagg’s Square. As one of our most promising areas of redevelopment in recent years, Bagg’s Square deserves the spotlight and that is exactly the Boilermaker’s vision for the Erie Canal Race which starts and finishes in the heart of Utica’s “oldest new neighborhood”. Now for a brief history lesson. In the early 19th century, the Erie Canal was instrumental in Utica’s emergence as a manufacturing center. The Erie Canal’s original path roughly followed modern-day Oriskany Street, bisecting Bagg’s Square which sprung up as Utica’s original core, centered around Bagg’s Hotel. The race starts and ends in Bagg’s Square while following the path of the modern-day Barge Canal. In a very real sense, the Erie Canal Race traces the history of our city while giving a glimpse into our future, in the form of the Bagg’s Square renaissance. In my short time with the Boilermaker, I’ve heard the same sentiment on numerous occasions, “If only we could sustain the Boilermaker spirit throughout the year…” The Boilermaker has grown into what it is because you embraced it. Here we have another opportunity to band together around a civic event, and showcase the best of our city. Let us embrace the Erie Canal Half and Bagg’s Square with the same fervor as the Boilermaker. Look it as a warm-up of sorts if you’d like, but this much is certain: the Erie Canal Race will be defined by how we, as a community, choose to embrace it. In 1978, 876 runners lined up next to Utica Radiator in East Utica to participate in the first ever Boilermaker. It was a hellishly hot day. Among the masochists was my father, an area car dealer. He did not finish. He lost consciousness, fortunately near St. Luke’s Hospital on Burrstone Road. But to this day, my dad still talks about his participation and subsequent hospitalization in that first boilermaker with an immense sense of pride. That is because he was a foundational piece of something that would grow beyond Earle Reed’s wildest imagination. The following year, my dad crossed the finish line and ran a dozen more times while extolling to me the virtues of the race. By the time I ran my first Boilermaker in 2004, the event had evolved into something that not even the most optimistic race pioneers could have imagined. My dad was right, it was infectious. The spectators, the music…the beer. It is now a massive community celebration, exceeding while simultaneously representing the humble city it calls home. It is a source of pride for all the people that are connected to this place: a place that holds onto its pride like a cold Utica Club. For the past decade, Utica was not my home but it remained my hometown. I’ve missed a few races but returning home in July for the Boilermaker has become an important tradition for my friends and I. It is a reunion for all of us who have been flung around the country by life. Despite its growth, the Boilermaker’s evolution continues today. In 2014, Boilermaker headquarters relocated to West Utica with a simple yet ambitious goal in mind: take root in a community in need of a renaissance. This past summer, a dozen Utica students toiled in the dirt to create the Boilermaker Urban Garden or BUG as it is affectionately known. The area is known as a food desert, indicating a lack of access to affordable fruits and vegetables. Some of these young urban farmers had never tasted the food that they were now cultivating with their own hands. This program, sure to grow in coming years, is a key component of the Boilermaker Urban Initiative which is working to affect change at a grassroots level. The Boilermaker headquarters are also home to weekly yoga classes and will continue to serve, in the months and years to come, as a community rallying point for all forces of positive change in the city. In the spirit that the Boilermaker was founded, the possibilities are only limited by our self-imposed capacity for good. This expansion of focus does not represent a “rebranding” for the Boilermaker. In its 40th year, the Boilermaker brand is stronger than it’s ever been. We are simply getting more ambitious, asking the question, “What can we do next?” The Boilermaker Road Race will forever and always be the country’s best road race. But why not be more than that? A lot has changed in forty years. Just imagine where we will be in another forty.